Son of Saul is an essential viewing for this year, for anyone who claims to love film. Wholeheartedly deserving of its Oscar win for Best Foreign Language Film of 2016, Son of Saul is a bleak and almost unwatchable achievement. With obvious comparisons to Steven Spielberg’s Schindler’s List, László Nemes’ directing debut is almost more impressive. It is a deeper, darker, pitch black powerhouse that is unrelenting and insistent. The film is shaped by the tight direction and cinematography while being rounded out by Géza Röhrig’s performance as Saul. 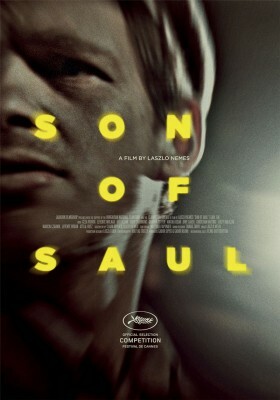 Saul is a man trapped in a German concentration camp charged with cleaning up the remains of burn victims. One day he believes to have seen the corpse of his son, putting him on the path to giving him a proper burial. The material is striking and, having let it sink in, it just seems to reveal the brutal genius the crew has tapped into. This is the second film of this festival to be shot by Mátyás Erdély, the first being James White, which is not quite as harrowing of a film, but perhaps just as dark. It follows a style of close-ups that is seemingly becoming a defining way to show the inescapable fortune victims will face in their lives. The haunting scenes leave brisk and hard chills that stick and fester in the blood. As a first time director, László Nemes gives his passionate all into constructing the film. Each shot has a weight and tension surrounding it that only 70 years of hindsight has provided, but he never shies away from disclosing the atrocities committed. He instead handles them with grace and empathy for the victims, as we see the pain they went through. The chilling score also adds a melancholic dread that slowly drips into the mindset of the viewer, mixing with the almost unspeakable scenes playing out. While Schindler’s List is a defining achievement in displaying one side of the struggle felt across Europe pushed into the efforts of one man, Son of Saul operates to deftly makes us feel, more than ever, the immense personal pain and anguish for those in the camps as they try to provide closure to their lives. As we know, the outcome historically was a long hard battle to success, one whose impact we haven’t yet seen matched, one that demands to still be recognized and remembered through this outstanding work of art.